What a year! 2013 was the year my passion for all things beauty reared it's little head. I never really ventured very far into the beauty world until this year so I've decided to share with ny favourite discoveries. 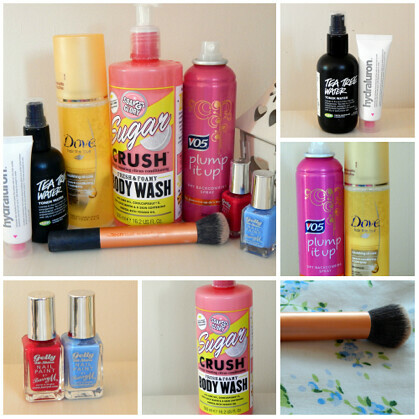 Part 1 is my hair, skin, body, nails and tool essentials and part 2 will be my make-up must haves for the year. 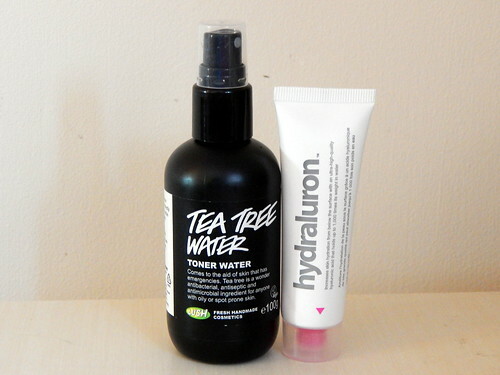 This is the first year i've really gotten into skincare so these two are quite new products. I'd say i'd had them for around 3 months and used them everyday, I cant imagine being without them. The tea tree toner is perfect at dealing with breakouts and it get's rid of all the excess grime in the pores. Whereas Hydraluron is my new best friend. This has given my face so much mouisture it's crazy. I used to get a little dry patch at the top of my forehead and since using this twice a day it's disappeared. I know it's expensive but I bought this when Boots had a third off so definitely look out for offers. 2013 was the year of the centre parting for me (not that i've stuck to it) so it was essential that my hair had volume. Vo5's Backcomb in a bottle was my go to product, it's an amazing texturizing spray that adds plenty of volume and gives the hair some oomph. I love the messy looks this gives to the hair too! 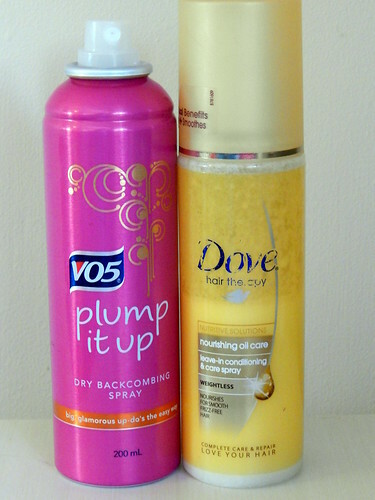 A blogger favourite was the Dove leave in conditioner and I had to jump on the band wagon with this. I whole heartedly believe that this has been the product to make my hair grow. It's also made it super shiny and healthy too. It definitely breaks less when I have used this, you can see a full post on my hair routine here. Sometimes I really wonder what I did before I discovered makeup brushes, especially the Real techniques buffing brush. This makes your foundation apply flawlessly as you both it into the skin, it makes the application super easy and leaves the chances of being patchy and orange to a minimum. The only downside to this is you have to buy the Core Collection if you want to try it but I definitely recommend doing so. 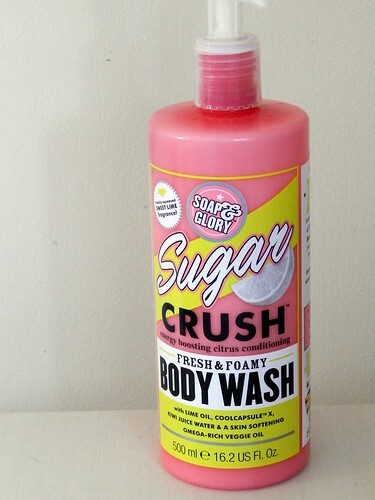 2012 was when my addiction to Soap & Glory began and my most repurchased product has to be the Sugar Crush shower gel. The scent is amazing, I challenge anyone to smell this and not buy it! They literally last for around 6 months too, so they are definitely worth the money. I also love that the scent lingers on the skin during the day too. I also love the Sugar Crush body butter too. I was massively into nail varnish in 2013, pretty much changing my nail colour every other day so it would be crazy not to include these in my favourites. The Barry M Gelly Nail Paint's are amazing. The colour range is fantastic (these are two of my favourites), the formula is incredible and I just really love them. They glide on so easily, covering the full nail and they last longer than regular nail varnish too! What have been your favourites of 2013? What are you looking forward to using in 2014? Lovely picks. I have been loving RT buffing brush this year too. So many things I want to try here like Sugar Crush shower gel and Hydraluron. Love all of these favourites! I have never tried the tea tree water from lush but I think I might see if I can get this to use in 2014!